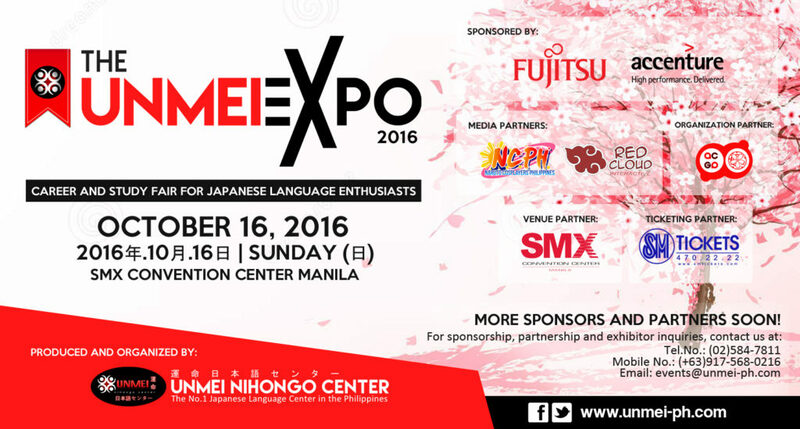 We are inviting you to The Unmei Expo 2016: Career and Study Fair for Japanese Language Enthusiasts on October 16, 2016 (Sunday) at the SMX Convention Center. Celebrate the Japanese language and culture in this very first event of its kind in the Philippines. Unmei Nihongo Center created this event for Japanese companies, Japanese language schools in Japan, Japanese language speakers, industry workers, translators, interpreters, tourist guides and enthusiasts in the Philippines. Focusing on the learners and speakers of the Japanese language, THE UNMEI EXPO 2016 is indeed an event to be. It hopes to increase camaraderie, networking, and unity among key players in the country in one venue (SMX MOA). Disseminate information to selected job seekers and employers. Prospective students and partner schools in Japan. Create a network base of talents, companies, organizations and Japan partners. Prepare yourself for the increase in demand in Japanese related jobs and services in the Philippines. This is due to Japan’s greater accessibility. The event will seek to standardize and make the industry world-class in principle and practice by lowering cost without compromising output. Tickets are now available at all SM Ticket Outlets nationwide. You can also book online via the SM Tickets Website www.smtickets.com or call 470-22-22. For more details on the event, you can visit Unmei Nihongo Center’s website www.unmei-ph.com. You can also visit their Facebook page at http://www.facebook.com/UnmeiNihongoCenter. Don’t miss this once in a year opportunity. 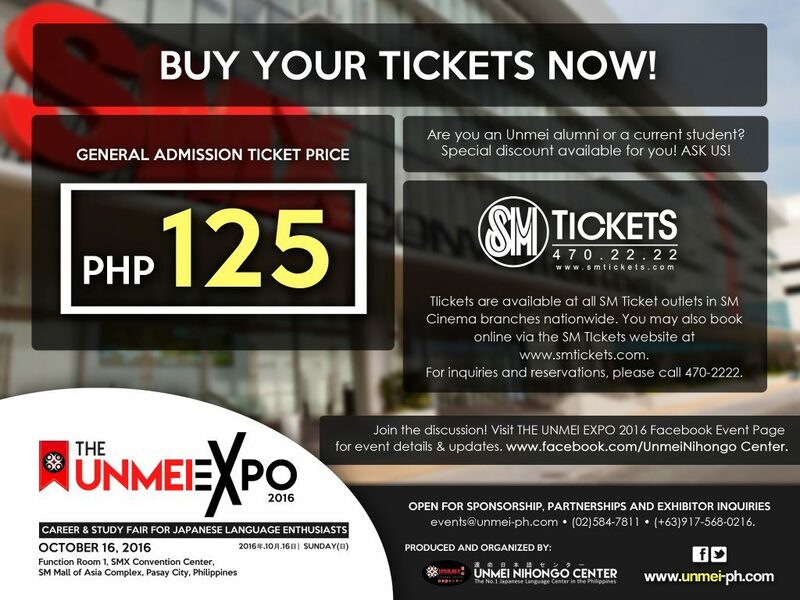 Join and experience the Japanese culture and language only at THE UNMEI EXPO 2016! Red Cloud Interactive is a proud media partner of THE UNMEI EXPO 2016. Supporting this event is part of our commitment as Japanese culture enthusiasts. It is very timely that every Filipino will be given a chance to know more about the Japanese language and its culture. Don’t forget to like our Facebook page to get more updates about THE UNMEI EXPO 2016 and our partnership with them. Are you interested to be part of this event? Let us know what you think of it. This entry was posted in Events, Media Partnership, Press Release and tagged concert, media coverage, singing competition. Bookmark the permalink. 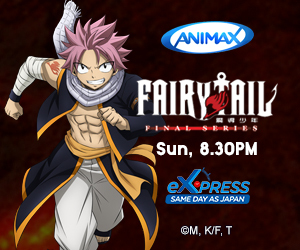 ← What’s Coming at AsiaPOP Comicon Manila 2016?